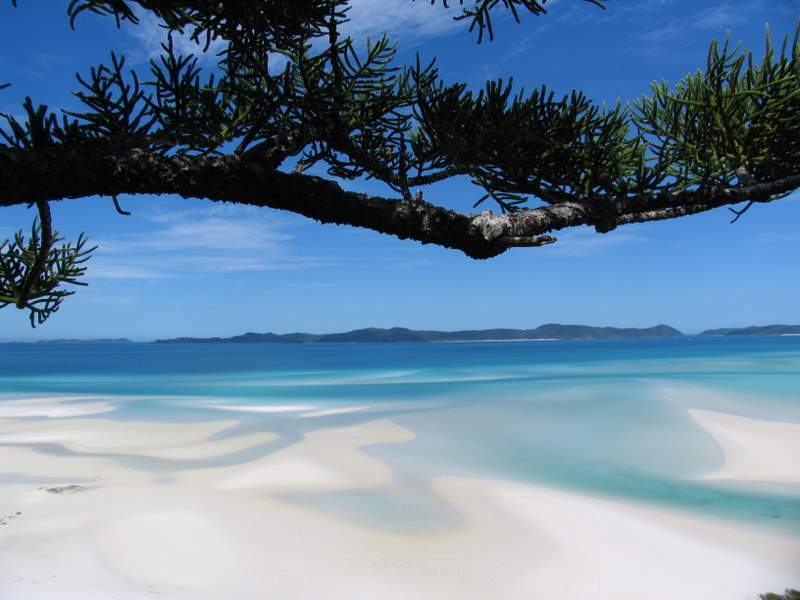 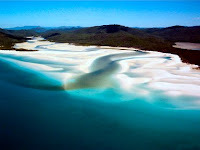 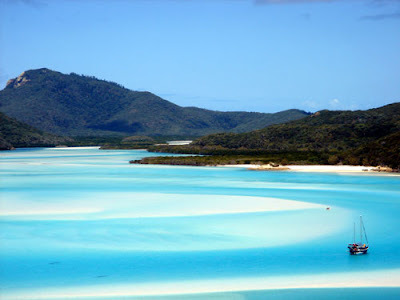 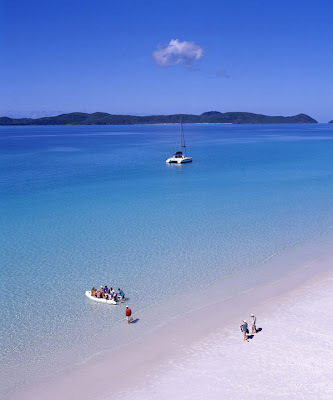 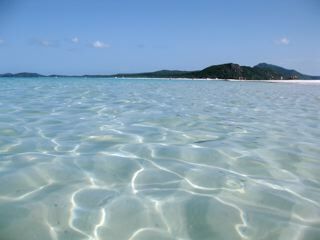 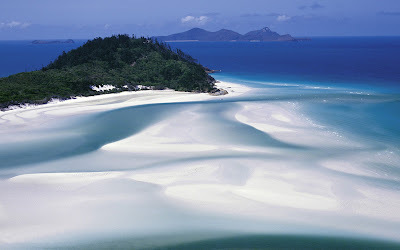 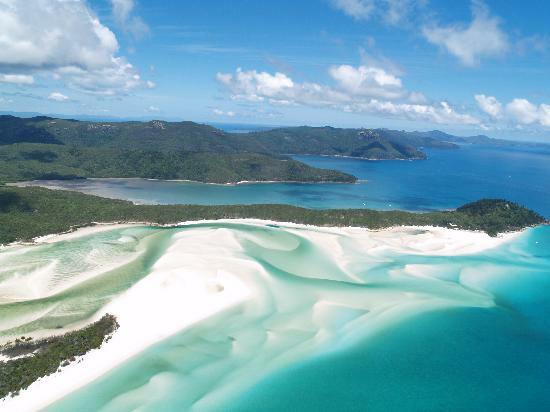 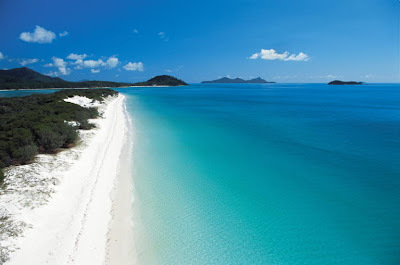 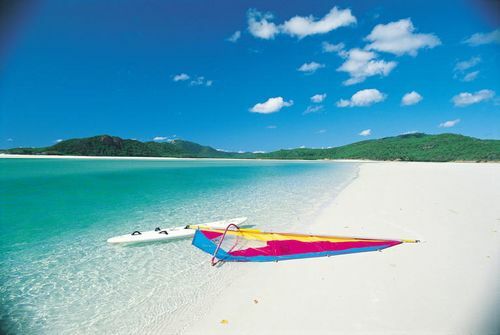 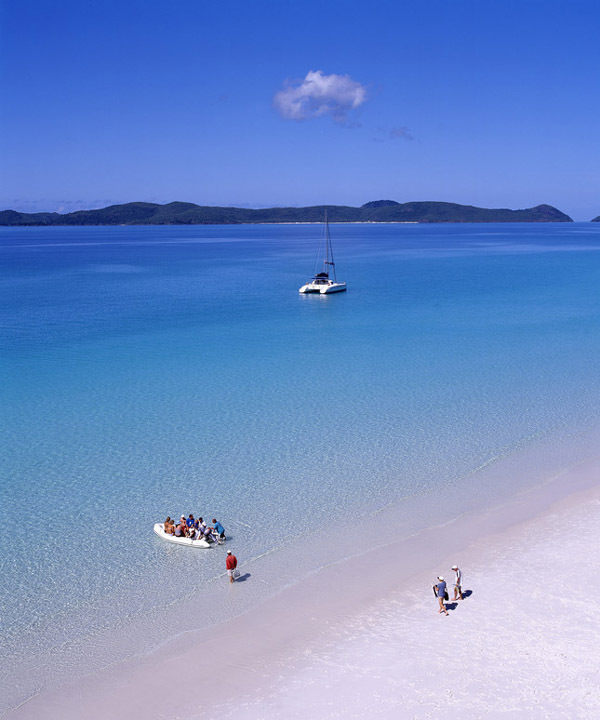 The crystal clear aqua waters and pristine silica sand of Whitehaven Beach stretch over seven kilometres along Whitsunday Island , the largest of the 74 islands in the Whitsundays. 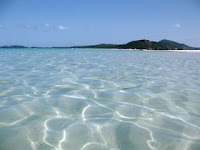 It defines nature at its best and provides the greatest sense of relaxation and escape. 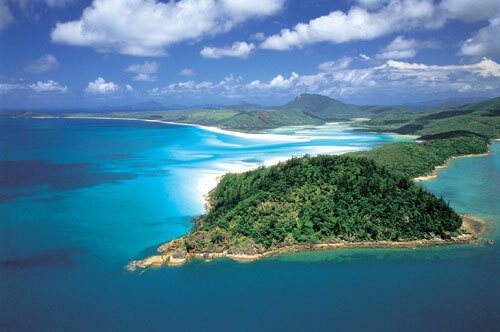 Lying in the heart of the Great Barrier Reef, in the warm waters of Australia's Coral Sea are 74 tropical islands. 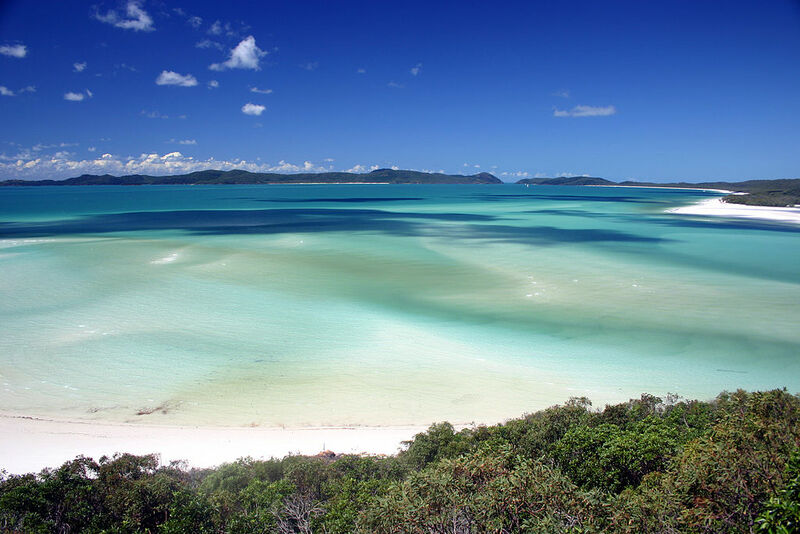 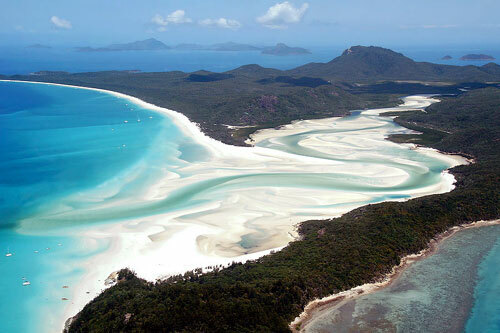 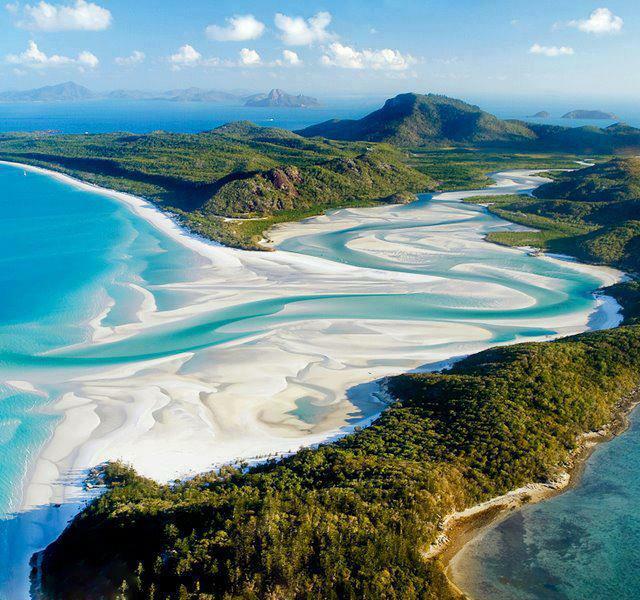 At the northern end of Whitehaven Beach is Hill Inlet, a stunning cove where the tide shifts the sand and water to create a beautiful fusion of colours.